Netflix (NFLX) is set to report Q1 earnings tonight after the close with a conference call to follow at 6pm ET. NFLX generally reports results shortly after the bell. Current Capital IQ consensus stands at EPS of $0.37 on Revenue of $2.645 bln. NFLX reported Q4 (Dec) earnings of $0.15 per share, $0.02 better than the Capital IQ Consensus of $0.13. Revenues rose 35.9% year/year to $2.48 bln vs the $2.47 bln Capital IQ Consensus. Co issued upside guidance for Q1, seeing EPS of $0.37, excluding non-recurring items, vs. $0.17 Capital IQ Consensus Estimate. Shares have moved toward the high end of the range ahead of today's report. 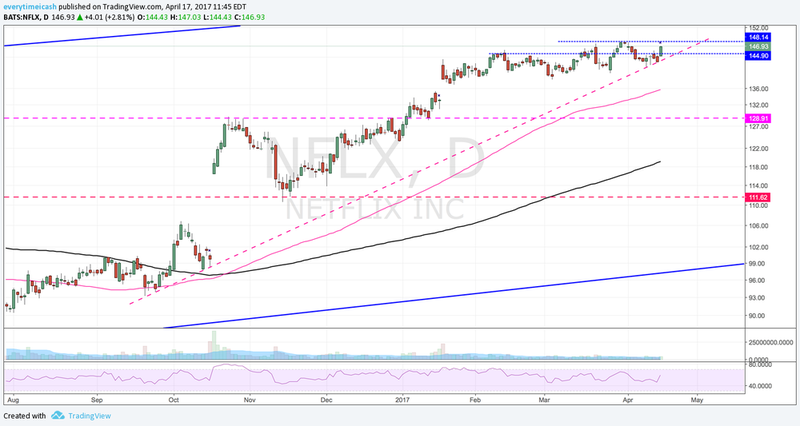 Trader's appear to be betting on NFLX being able to post its third straight blow out report. 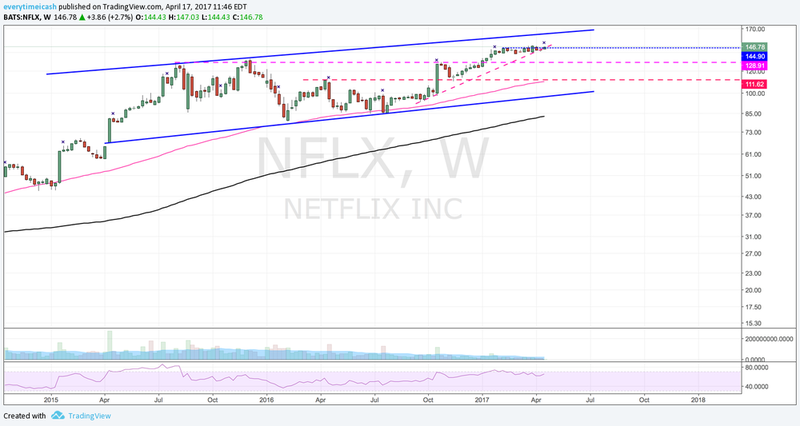 NFLX held its uptrend line on the daily and looks like it has been consolidating on the weekly time frame. Shares look like they have room to the top of its weekly channel range at 163ish, that would put the stock move at 11% which is not out of the realm of possibility.